Well we made it! 4 years after visioning our dream, it is now very real. 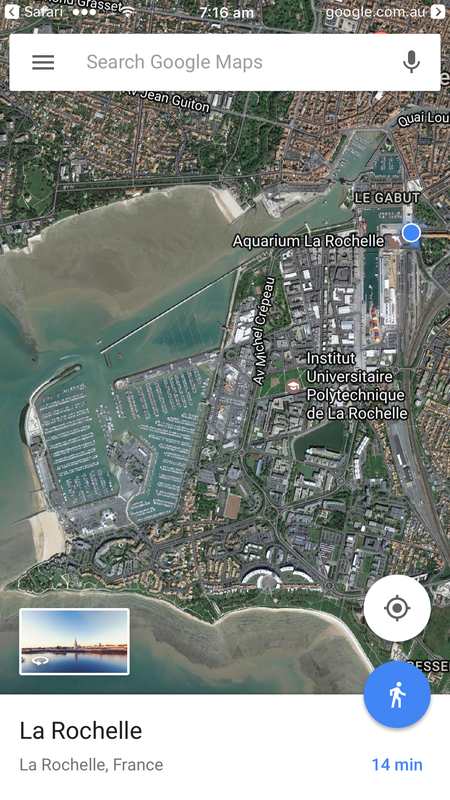 We have arrived in La Rochelle and the journey is beginning. Lots of mixed emotions. Primarily – excitement, a little bit of anxiousness , a bit of sadness saying goodbye to family but overall we are very happy and thrilled to have Scout as our new home and the world waiting for us to see. Wow though! It was a huge effort to get out the door. Long lists on our phones of things to do and in the last month instead of them getting shorter, we seemed to keep finding more and more things to add to those lists. What proved to be the most challenging was getting Scout registered in Australia before we left. An Australian vessel traveling internationally has to be registered with Australian Maritime Safety Authority. We had been forewarned that it does takes a while and you need to pay for your boat in full before the registration procedure can begin. We did this and had all the paper work ready but a heads up for those following in our footsteps. Original paperwork has to come from the boat builder and make sure he has the right form. Nevertheless, right down to the last wire and even with Australia Post losing our original boat builders certificate, Scout is now registered-One day after we left! 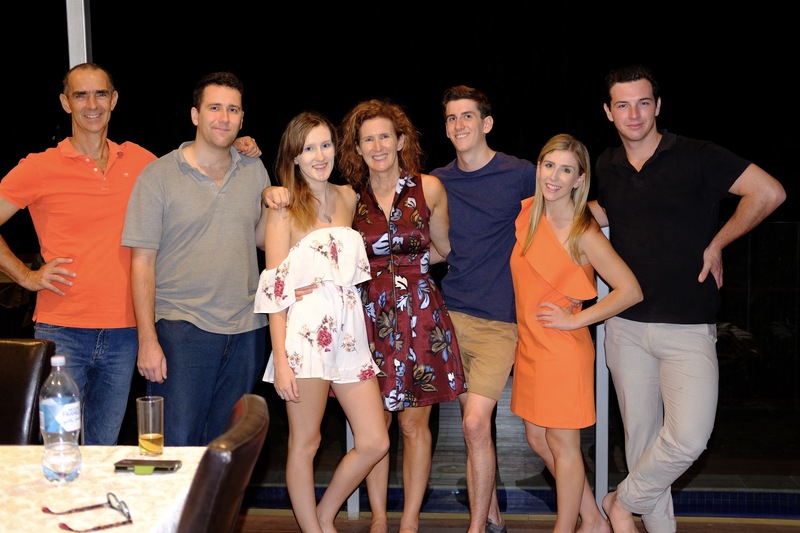 Our last weekend was spent together as a family , minus our No 2 who lives in Canada and we celebrated our second youngest’s 21st. Although her birthday falls later this month it was great to all be together. Happy 21st Lucy! Monday arrived and I still seemed to have a huge list to complete. Mike had a last day of work and I spent the day handing over to our house sitters and making sure our dog was settled. I was also still struggling to get those 60 kilos of allowed check in luggage for the flight balanced. We did it, although I admit I wore a few extra layers of clothes that I could not bear to leave behind. In 30 degrees temperature and with our sailing jackets on we managed to get through check in with out any dreaded extra freight charges or raising too many eyebrows. Once check in and customs was complete and we sitting in the lounge waiting for our flight, I think it was the first time I had felt completely relaxed in 3 months. We had successfully got out the door. Not much sleep during the flight- too much excitement. 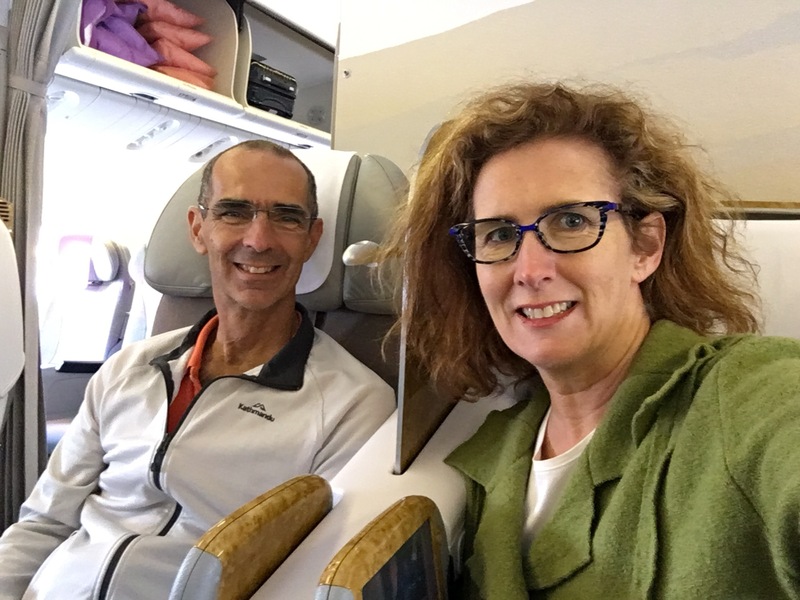 We had chosen to fly into Geneva ( because of availability of seats) and the we drove to La Rochelle. 25 hours of flying , 8 hours of driving and we stumbled into bed at our hotel at 1030pm local. The hotel is to be our accommodation for the first 3 nights. It was a good way to throw us into the local time fairly quickly. Was wet! It seems March is the wettest month in France ” les giboulées de mars” The rain showers of March- still it didn’t dampen our excitement and it wasn’t too cold. We had the right clothing. We found Scout waiting in the harbour for us. She had been lowered into the water last week to be ready for us. A quick drop in at Neel to say hello and Timothé escorted us to the boat and handed us the keys. We fell in love with her all over again. This was our new home! What to do next? I automatically got into nesting mode and started unpacking and adding to yet another long list of things to buy. Mike was starting to sift through all the manuals and Timothé explained a few systems to him. I could tell Mike was going to have a lot to digest over the next few days and we were not in a rush to go sailing yet. Besides the weather was not so nice and Timothé advised that Scout was going to have to be moved that afternoon into the marina for us. A little bit more private and better facilities there. We were going to go out anyway on her, even it was just a quick jaunt. The 30 minute motor around to the marina went well. Mike at the helm scooting through the loch and under the two raised bridges. 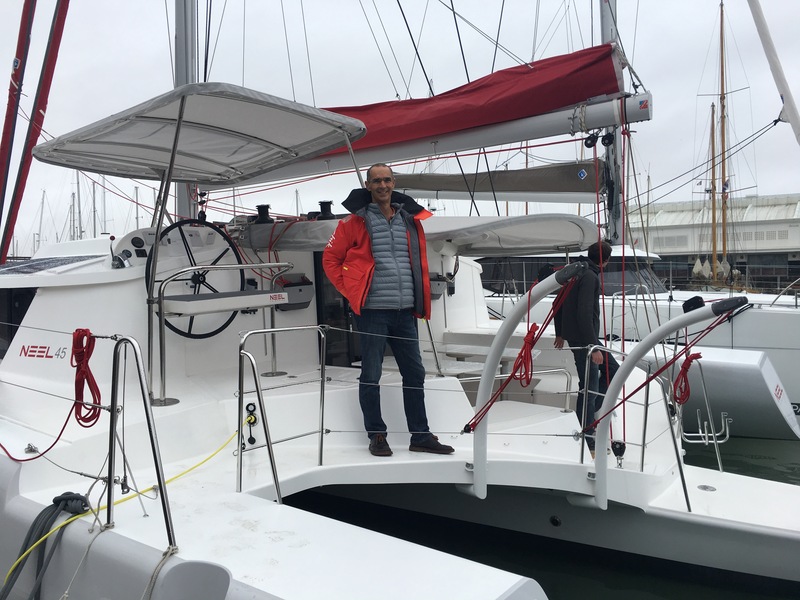 Eric Bruneel, the boat builder joined us also. I stayed on shore to do some filming and we are now settled into the marina. Well our first day was over! This morning we have woken to fine weather and Timothè is taking us out for a sail and putting Scout or probably us through our paces. 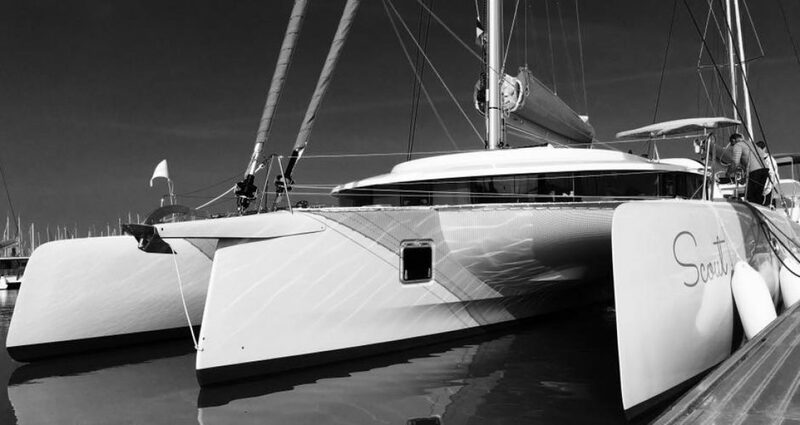 We appreciate how lucky we are to have Timothé Bruneel directly involved with the handing over of Scout and can not fault Neel Trimarans for their excellent service. We are both excited for the day to begin! Good one guys. I trust Timothe is looking after you as you settle into Scout. Have a really really good time. You’ll be going to the Med first? Get that big genny out and crank Scout up..!! Yes I must admit I’m eager for every post.